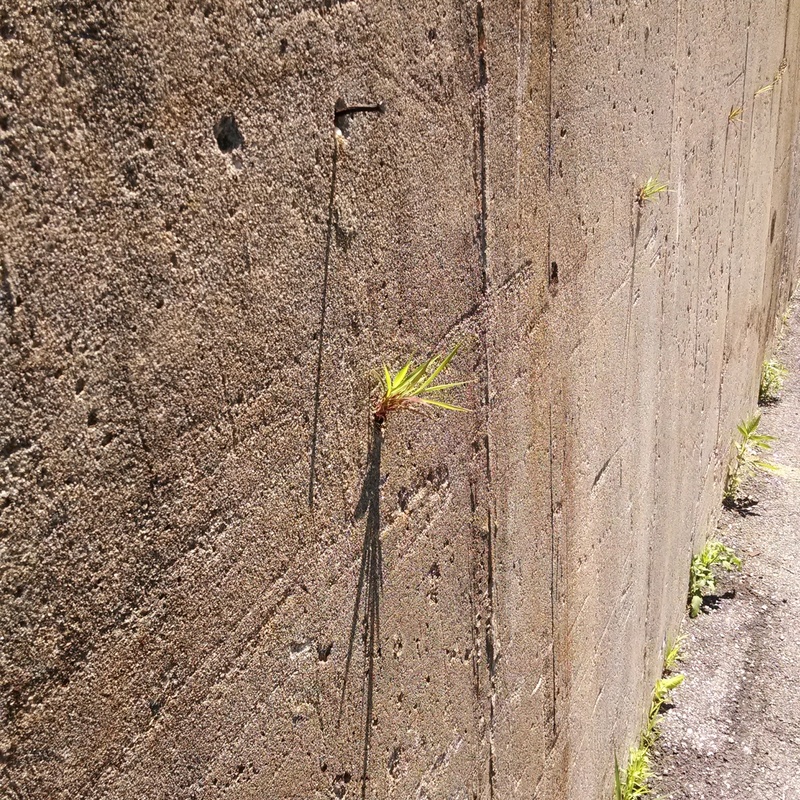 You can grow from the rock, you can grow anywhere. We own a duplex and live in one half while we rent out the other half. It’s small and cozy and the place we’ve called home for the last four years. I always wanted to move before having a baby because it seemed pretty ambitious to fit even one more thing in such a small space—especially a baby and all the crazy equipment babies come with these days. I thought my plan was going to work out beautifully. We bought our fixer-upper over a year ago and even when I found out I was pregnant last fall, I still thought for sure we would be all moved and settled before the baby arrived. I was wrong. First we said it would be ready in the spring. Then we said it would be ready by the end of the summer. Now I’m just crossing my fingers and hoping we make it in by the end of the year. And so sometime in the next few weeks we will bring our little baby home to the house I always said was too small for such things. It’s amazing how you can adapt and change as life and circumstances require you to do so. Somehow we have managed to make room for our little guy—a bassinette tucked in the corner by our bed, a small dresser for all his things against the last bare wall in our room, the living room rearranged to accommodate a rocker, swing, and bouncer all three, the stroller folded up against the door we don’t use, and cabinets emptied and rearranged for bottles and bibs and all his tiny foreign things. It’s tighter and more crowded than ever before and yet somehow, a little to my own amazement still, we have found a way to make it all work. As this little guy takes up more and more room in our hearts, so we have found a way to make room for him in our little home too. It’s funny how this lesson has had to repeat itself so many times over in my life. Perhaps I’m a slow learner. I always think things have to be just so or they simply can’t be at all. But I have seen again and again that life is fluid and we must be flexible if we’re to survive the ebb and flow of things beyond our control. If you had told me nine months ago that we would be bringing our baby home to this crowded little house, I would have been frustrated and certain it couldn’t work. And yet here we are—hospital bags packed, tiny clothes washed and tucked away, ready to bring this baby back to the only place we can really call home right now. And you know what? It will be fine. We’ll be fine. The baby will be fine. Nothing will be ruined even if things have worked out so differently from how I had planned. It’s just another step in this journey that will continue to unfold with or without our permission. I’m sure being a new mother and learning how to care for a child will be much the same way—not at all how I think it will be or should be and yet we will grow and change and learn along the way how to do what’s before us—however imperfect it may sometimes seem. This entry was posted in Faith + God and tagged Adventures, Baby, Contentment, Family, House & Home, House Remodel, Life, Life Lessons, Pregnancy. Bookmark the permalink. And in another month, you will wonder how you ever functioned with just the two of you. This is beautiful. Hope he comes soon so you can meet him, hug on him and love him forever. Hey, look at it this way… just another adventure. It won’t matter what size house you are in… you will only have eyes for one thing. Don’t overthink parenting thing and just go with the flow. Besides, I have a feeling someone will be there to help show you the way. I admire your ability to see beyond what you thought were limitations to find a way to make what really matters work. That is a great trait to have these days. Not easy to do but I’m learning :] Thanks for your comment. Learning to be flexible and being happy being flexible is a large part of a contented life. Things seldom work out “just so” and that’s okay because so often what we end up with is actually better than what we had planned. You’ll appreciate your new home so much more when you are finally moved, but trust me you are going to miss that little nest you have called home for the past four years…more than you can possibly imagine.